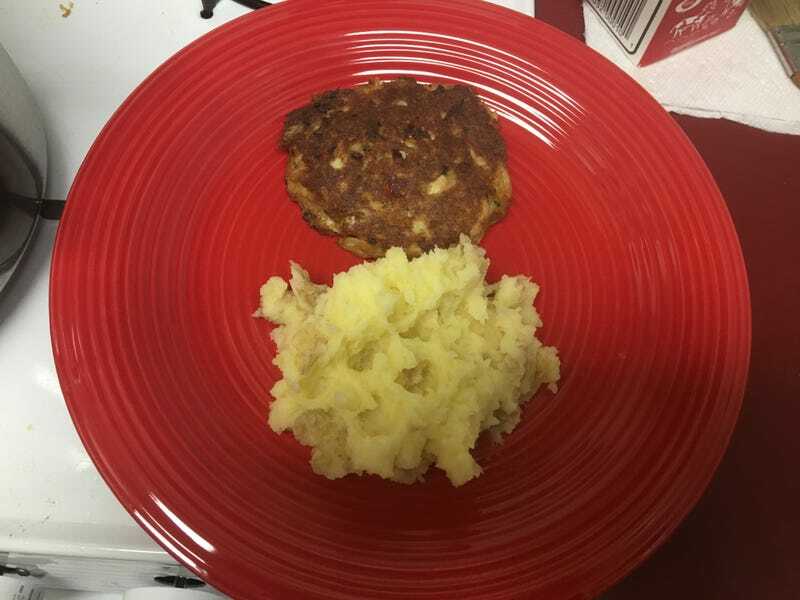 My search for the perfect crab cake recipe has spanned a couple decades, just like my search for the perfect chili recipe (conclusion: just use the Wick Fowler 2 Alarm kit with ground pork or ground sausage (no beans) for the best result. Simple). 4) do NOT just bake them - use the French method for steaks. Use a pan that can go in the oven, get it hot as you can without causing the olive oil to smoke, and pan fry the crab cakes for 3 minutes, flip them, and put them in a 425 degree oven for 7 or 8 minutes or until the interior temp is 150F.